On Wednesday, Newbury looks to have a particularly prestigious card for a midweek meeting, with an interesting Novices Limited Handicap Chase and the Final Qualifier for the Challenge Staying Chase Series (For The Harwell Trophy). Kempton winner Glen Rocco does have an entry for the latter-most named, however he is expected to skip this event. 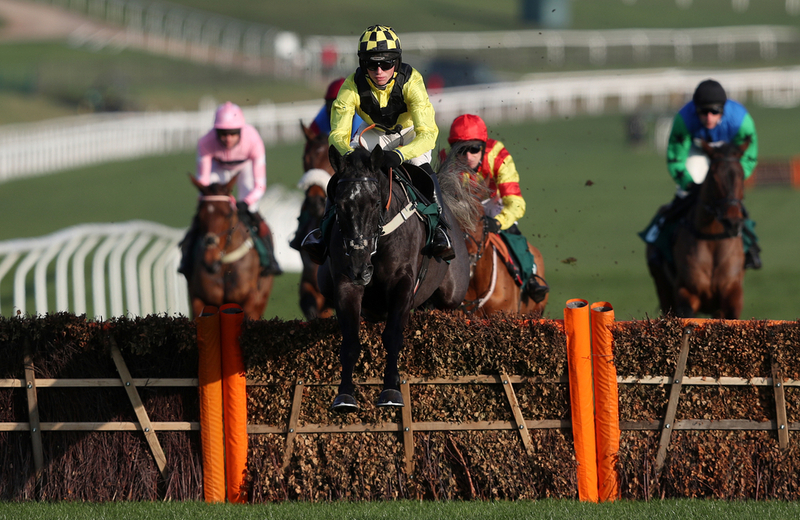 There is also jumps action from Plumpton, with an intriguing Veterans Chase that dominates the card of six. All-weather action kicks off at Lingfield at 1:20, concluding half-an-hour before the start of Kempton's eight race card on the Polytrack. Kupatana can brush aside her wretched fortunes from recent weeks, should she fulfill her entry in the Mares Novice Chase at Ludlow on Thursday. Market Rasen host their first card of 2019 featuring a Listed bumper halfway through the afternoon, whilst we return to Wincanton for the Somerset National Handicap Chase. Emma Lavelle's Gunfleet heads that field under top weight, with Theatre Territory and Unioniste look to get their seasons back on track with a victory. Morney Wing - who won the London National at Sandown last time out on Tingle Creek day, also has a notable entry. Newcastle closes the day with an eight race All-weather card. A busy Friday kicks off with another visit to Lingfield on the flat, with six races starting at five-to-one. Jumps action begins ten minutes later at Chepstow, with six races coming from Wales - headlined by a Mares Handicap Hurdle Qualifier, featuring Evidence De Thaix, Burn Baby Byrne and Smaoineamh Alainn - who dropped out the Listed Mares Hurdle at Sandown when Laurina was confirmed. Scotland has six races from Musselburgh, featuring much Novice action, and a good looking bumper, where Yes No Maybe So can follow up his win here last month for Donald McCain. Kempton and Dundalk commence their twilight cards at 4:10 and 5:30 respectively, for a night under the lights. Saturday is Clarence House Chase day, where Un De Sceaux, Diego Du Charmil, and the returning Fox Norton will look to serve it up to Nicky Henderson's Champion Chaser Altior, who has never lost over obstacles. Ascot also has a Grade Two Mares Hurdle, along with a Grade Three also over timber, where Ballymoy can follow up his impressive Haydock win just before Christmas on heavy ground. Haydock also looks busy with as many as four Grade Twos - including the Peter Marsh Chase, where 2017 Grand National winner will get his second chance since returning from injury. Several Champion Hurdle candidates also clash in the New One Unibet Hurdle, whilst the current Supreme favourite - Angels Breath goes for that very race trial. There is also jumps action from Taunton, and two all-weather cards at Wolverhampton and Lingfield once more. As is the case much lately, the racing quiets down on Sunday, with two cards in Britain from Ayr and Exeter. The two tracks - who could not be further apart in terms of distance, begin either side of midday. Ayr has six races including a couple of series qualifiers, whilst Exeter has four hurdles events, before a couple of steeplechases. The feature does come over fences - the Dawlish Novices Chase, with Nicky Henderson's star novice hurdler On The Blind Side, recent winner Rio Quinto and fairytale horse Tobefair all holding cards to play.